The ROMAX BreatheLight Tubing is smaller and lighter, BreatheLight tubing was developed from Romax's popular Ergonomic Cuff design, Series A tube. 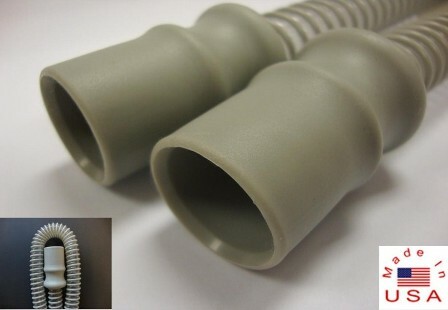 This tubing is compatible with all CPAP units designed for small diameter tubing and machines with adjustable resistance. This tubing was exactly what I was looking for, I am so glad to have found a reliable location for replacement CPAP parts. Thank you! This hose was not the quality expected for the price.